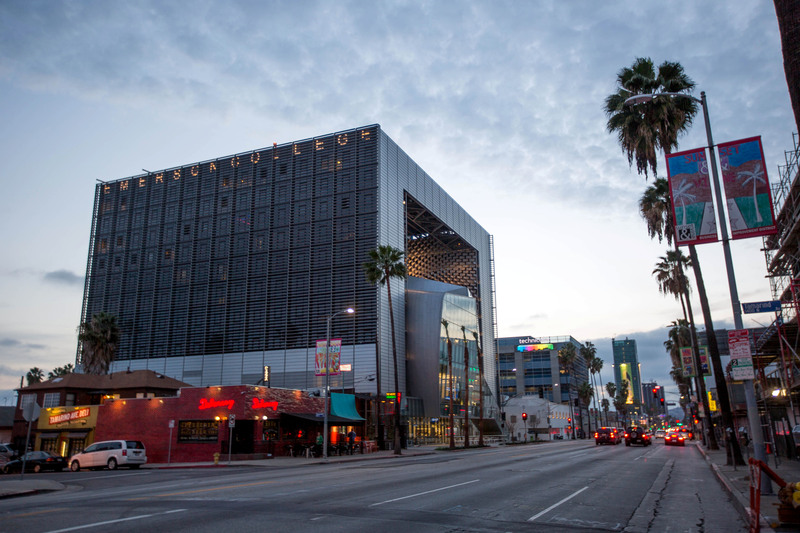 John A. Martin & Associates, Inc. Emerson College Secures Business Council Grand Prize - John A. Martin & Associates, Inc.
Emerson College has been in the news a lot lately; most recently as the Grand Prize winner of the Los Angeles Business Council (LABC) Awards. The project opened to students in January 2014, and since then has continued to be in the news as one of the hottest projects of the year in LA. JAMA provided structural engineering to longtime client Morphosis on the design, which features two residential towers that bookend open-air courtyards and performance spaces over 10 floors and 107,400 square feet. For the Business Council awards, a jury of 25 notable design professionals honored entire project teams whose projects exhibited design excellence, commitment to sustainability, and community impact.